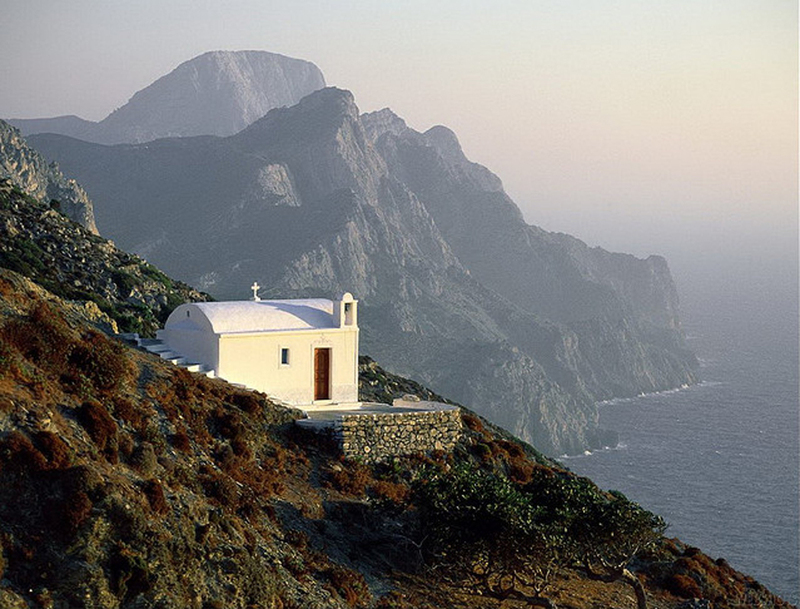 Karpathos is the second largest of the Greek Dodecanese islands, in the southeastern Aegean Sea. 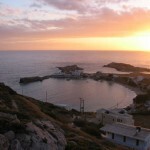 Together with the neighboring smaller Saria Island it forms the municipality Karpathos. 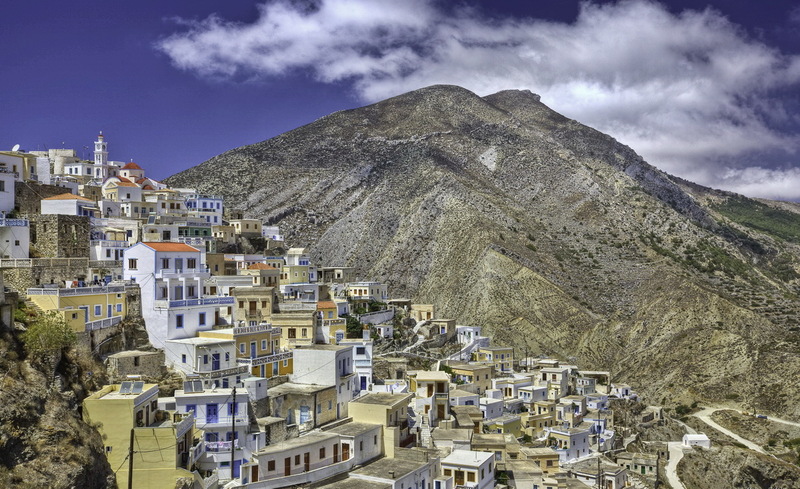 From its remote position Karpathos has preserved many peculiarities of dress, customs and dialect, the last resembling those of Crete and Cyprus. The island is located about 47 kilometers southwest of Rhodes, in the part of the Mediterranean which is called, after it, the Carpathian Sea. 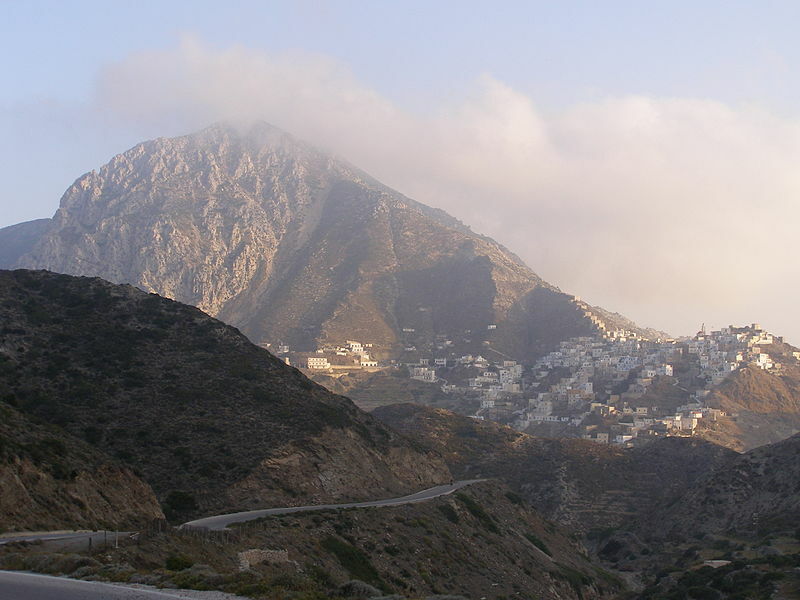 Karpathos’ highest point is Mt. Lastos, at 1,215m. 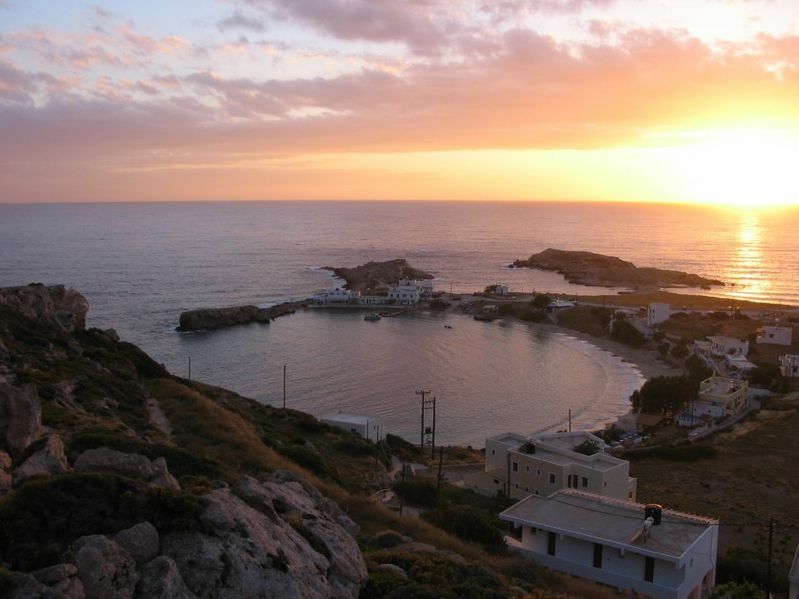 Karpathos comprises 10 villages. 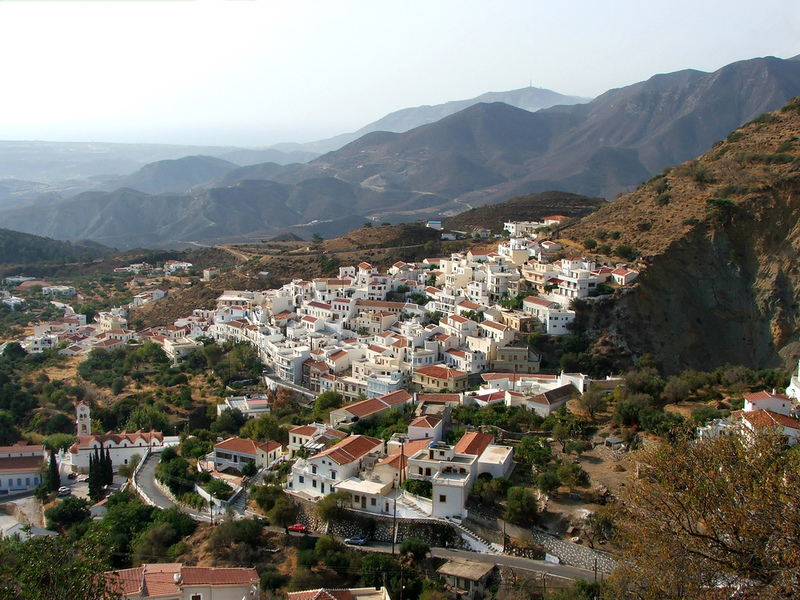 All villages preserve intensively the traditional style of the island. 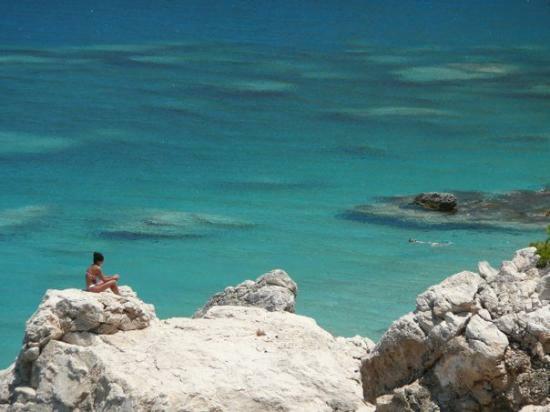 In the southeast of the island you can find Pigadia (official name Karpathos), capital and main port of the island. The capital is surrounded by the villages of Menetes, Arkasa, Aperi, Volada, Othos, and Pyles. In the North one can find Mesochori, Spoa and Olymbos, the last village in the North of the island, of great folkloric and architectural interest. 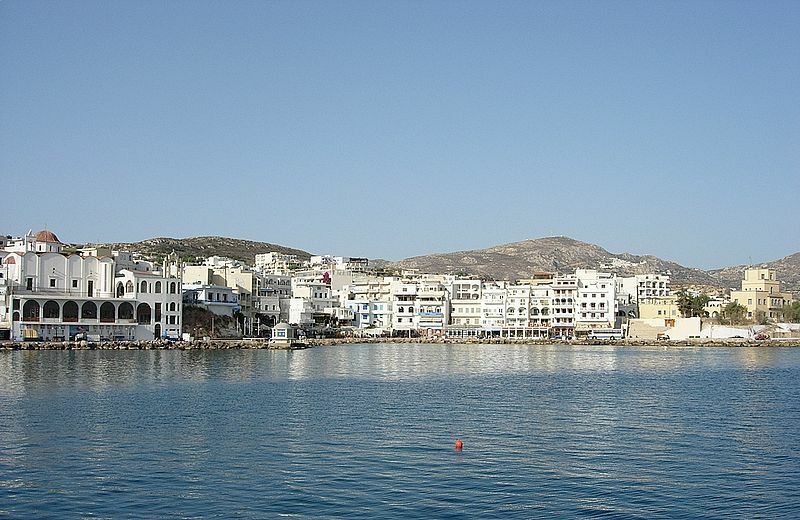 There are two ports on the island; one is in the town of Karpathos and the other in the north of the island next to Olymbos named Diafani. 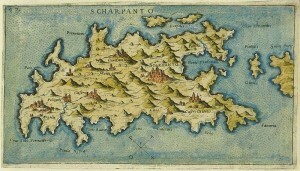 The island was both in ancient and medieval times closely connected with Rhodes. 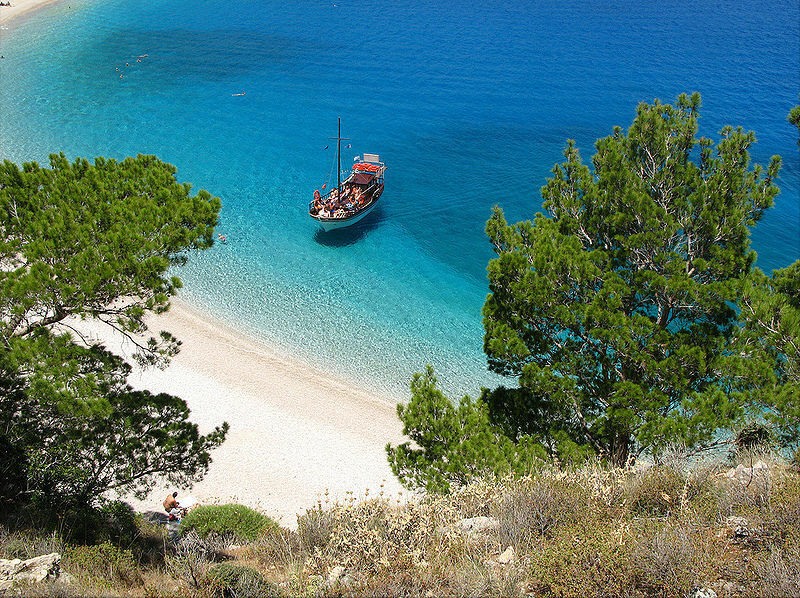 Its current name is mentioned, with a slight shift of one letter, in Homer’s Iliad as Krapathos. Karpathians fought with Sparta in the Peloponnesian War in 431 BC and lost their independence to Rhodes in 400 BC. In 42 BC the island fell to Rome. After the division of the Roman Empire the island joined the Byzantine Empire. By 1304 Karpathos was given as fief by the Emperor to the Genoese corsairs Andrea and Lodovico Moresco, but in 1306 it fell under Andrea Cornaro, a member of the noble Venetian Cornaro family. 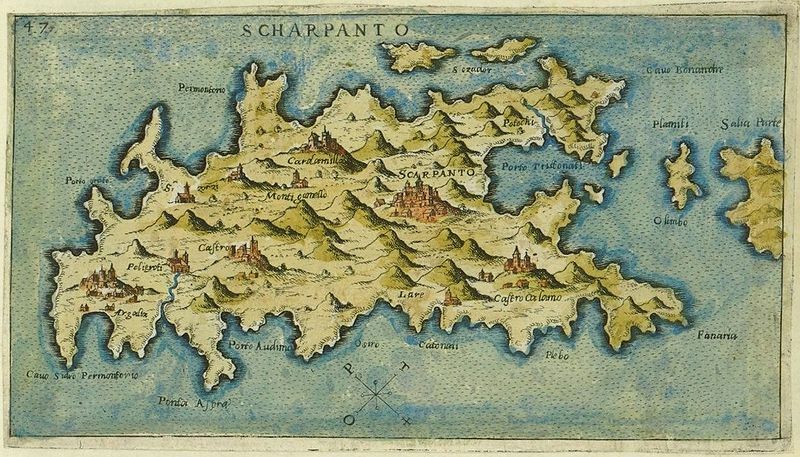 The Cornaro controlled Karpathos until 1538, when it finally passed into the possession of the Ottoman Turks. Under the Ottomans the island decayed deeply. In the years 1821-22, during the Greek War of Independence, the island could free itself, but afterward it fell again under the Ottoman rule. The Ottoman rule ended on May 12, 1912, when the Italians conquered the island, together with the whole Dodecanese, during the Italo-Turkish War of 1911-12. With the Treaty of Lausanne of 1923 Karpathos joined the other islands of the Dodecanese in the Italian possession of the Isole Italiane dell’Egeo, and was ceded by Italy to Greece with the Paris Peace Treaties of 1947. 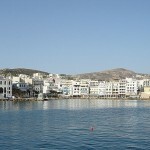 The island formally joined the Greek State on 7 March 1948, together with the other Dodecanese islands. 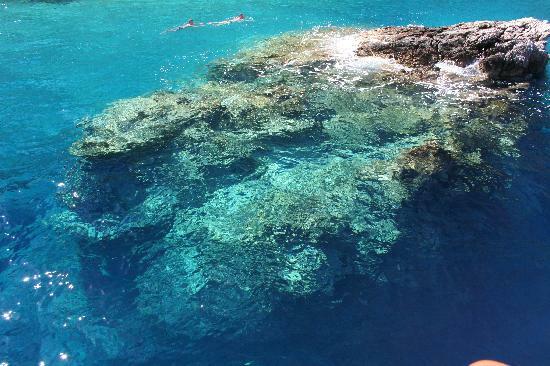 The islet of Saria is a rocky, volcanic island along the northern edge of Karpathos, separated from it by a strait 100 m wide. It has a resident population of 22 persons (2001). It has little plant or animal life, and has a number of sharp cliffs. Although only shepherds live on Saria now, the ruins of the ancient city of Nisyros can be found here. It is also a breeding area for a breed of falcon known as Eleonora’s Falcon. Although the name is subject to dispute, scholars link it with the name of an ancient Greek Princess named Katherine from a line of Saria royalty. Greek legends say she was as beautiful as Helen of Troy and so they named an island after her majesty. 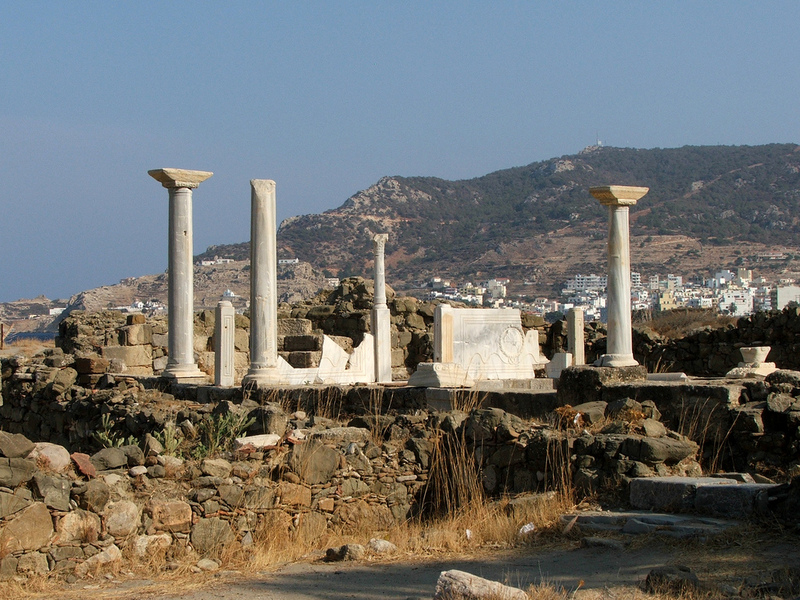 On the island of Saria, it is recorded history that a kingdom existed named Mikri Nisyros. This tiny islet has a spectacular landscape comprising of white sandy virgin beaches with crystal clear water, abrupt cliffs, calcareous rock beds, deep caves and dashing streams. In summer, there are small tour boats to connect Pigadia to Saria islet in frequent and daily itineraries. Within the island, cars are the preferred mode of transportation. The port, the airport, the main villages and other popular locations are connected by an adequate system of municipal roads, most of which are paved. During the summer months, small private boats depart from Pigadia to various locations daily, including Olymbos (via Diafani) and some inaccessible beaches. Fixed-rate taxis (agoraia) and municipal buses are also available all year long. The population density is greatest during the 15th of August due to the Panagias festival (Assumption of Mary), which is considered the most important festival on the island. Individuals travel from around the world to attend the festival and view the many traditions that still remain on the island. 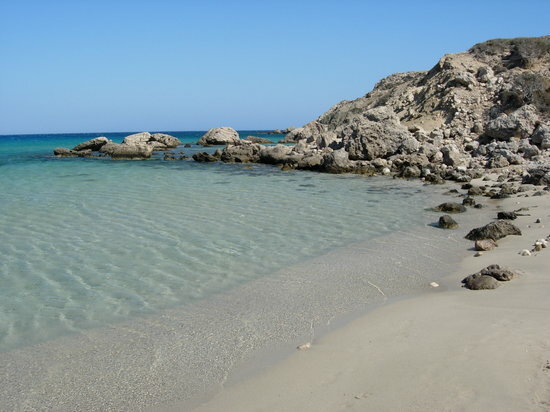 The beaches of Karpathos island can be divided into four large groups: the beaches on the east coast are smaller and gravelly but without wind; the beaches of the southern part of the island, near the airport, area made of fine white sand; the sandy beach on the west coast are the most exposed to the Meltemi and they are only available in low wind conditions; the beaches of the north side of the island, accessible only by sea and partly by jeep. 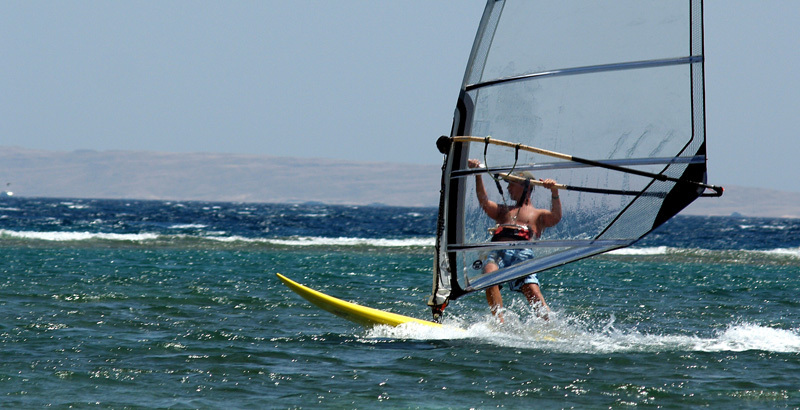 Windsurfing: On Karpathos in the summer you will find everything your windsurfer’s heart could possibly desire. The meltemi blows full force from the north down through the high mountains, with high-wind days being virtually an everyday occurrence in July and August. Karpathos enjoys steady winds even in spring and autumn, making it an ideal spot for novices and those who wish to improve their surfing skills. But advanced surfers, too, can rely on getting a really good run for their money.